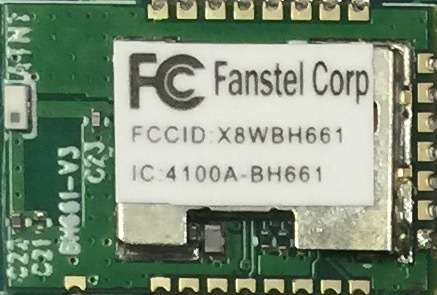 BH661 module is a Bluetooth 4.2 dual mode module to support secure connection or with audio (Wide Band Speech) profiles . Certified BLE 4.2 stacks (with Toshiba QDID) are embedded. Bluetooth SIG certified BT4.2 stacks embedded in mask-ROM. Transmitter power 4 dBm; Receiver sensitivity: -90 dBm. Bluetooth line of sight range with a smartphone, 50 meters (150 feet). Castellated pins: 24 pins. Easier prototyping, easier production. Unit price is $4.99 each in reel quantity or 1000 pcs, FOB, origin. Sample price is $6.23 each in 10-pack. Contact your local sale representatives for lead time and quotation for other quantities.